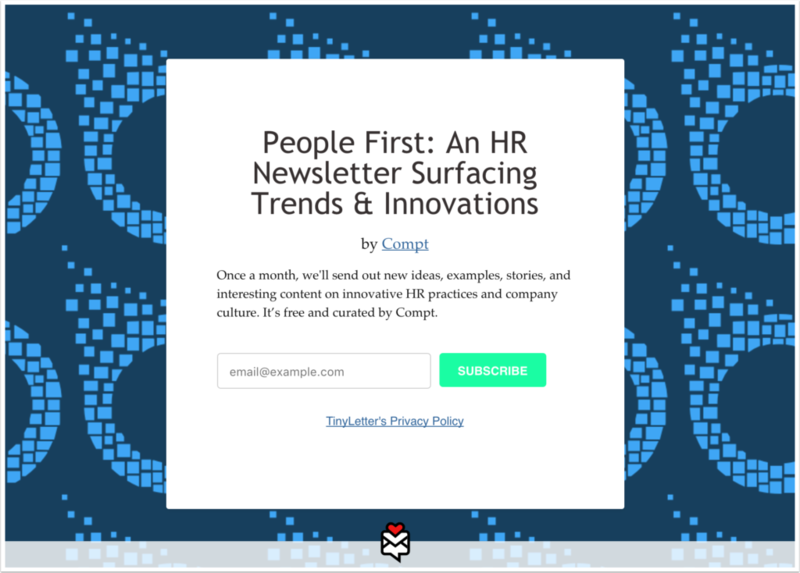 Every month the Compt team puts out a newsletter full of new HR ideas, stories, examples, and other interesting content. Our purpose? To surface HR trends and innovations to you. Join the HR trends and innovations newsletter. Recently, Seth Godin wrote about the two types of practice. Seth Godin’s reminder that not all experts, masters, or highly-qualified people were born that way is encouraging. We develop expertise through practice and lots of it. And as learners of the world, we should seek to understand the types of practice, so that we may know which one to call upon and when. Rote practice: Simple memorization to be able to regurgitate with or without emotion when the time calls. Examples include memorizing of facts, lines for a theatre play, or chords on a guitar. 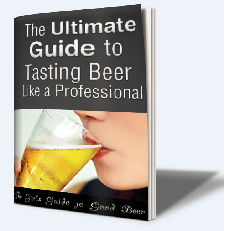 Expert practice: Seth Godin doesn’t call it this in his article. Expert practice is when a person surpasses traditional memorization and can evaluate and apply findings to make something new. They’re practicing their new political opinion or a new guitar riff they’ve developed. 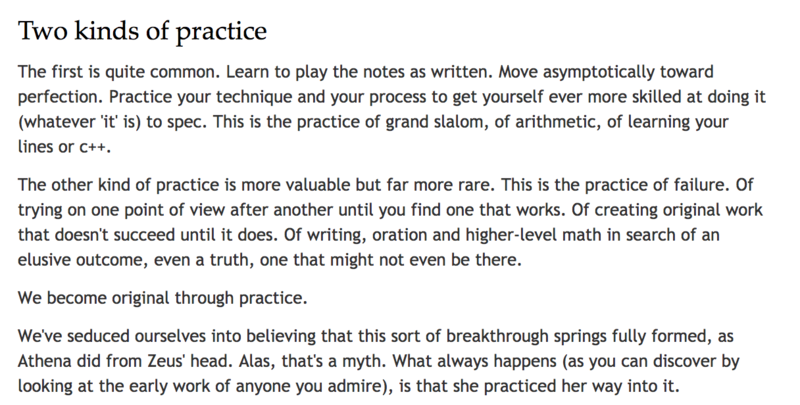 And secondly, I’d like to include a new type of practice to this list – deliberate practice. Deliberate practice is the bridge squeaked in between the two pillars of practice mentioned above. Its the bridge which helps a person make the cognitive leap from excelling with practice type one discussed above to learning and excelling with practice type two. While I might call it a bridge to make my point clear, it truly deserves to be considered a pillar of practice too. Still placed between the two types of practice above, yet now complete with a definition, examples, and all. 2. Deliberate practice is a form of taking “rote practice” to the next level. It puts an intentional spotlight on errors or mistakes uncovered while practicing, making the person aware of them and encouraging them to address them in their work moving forward. It’s like forgetting the same line over and over in a theatre play. With deliberate practice, you’d notice that you perpetually forget this line, and so as you approach it, you slow down and focus on remembering it. After a few times with deliberate practice, you’d be more likely to remember the line than if you weren’t conscious of it. Another example is when practicing a Led Zeppelin guitar riff over and over, but when you approach a section where you tend to jumble the finger-work, you slow down and focus heavily on getting it right. All too often we consider practicing the vague act of doing, without any critical thinking. Deliberate practice encourages mastery by bringing awareness and mindfulness to the forefront of training ,and then enacting a plan to improve. Next time you sit down to practice something – whether an instrument, writing, painting, singing, or anything else you want to master – consider which level of practice you may need to exercise and when. Thanks to companies like Gainsight and Mindtouch, and people like Lincoln Murphy, Brian Solis, and Bill Cushard – more people than ever finally beginning to give the customer success teams the regard it deserves. Customer success is a critical component to any business, but until somewhat recently it’s been considered “fluffy” and even difficult to understand or quantify. However, with the emergence of the SaaS, people are now able to comprehend the impact of churn/retention on business. However, anybody who is in customer success understands that definition is technically correct from a business perspective, but it’s not the full picture. Customer success is made up of a lot more than that. Customer success is a combination of many variables, of many weights including hard metrics like product adoption/usage, LTV, MRR, upgrades as well as some more soft metrics like experience, happiness, education. When I say education, I mean comprehension and knowledge of the industry, topics and software/service you provide. For HubSpot, it’s a person’s understanding of marketing, inbound marketing as a philosophy and approach, and the software. For HubSpot, it’s also this same education applied to the sales world as we’re now a full-stack, growth stack software. 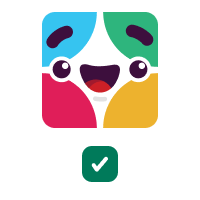 It’s an exciting time to be in customer success because it’s still being defined. A new graphic Brian Solis shared in an email in which the subject line was “Customer Experience is the New Marketing and Customer Experiences are the New Brand”. In the email he included three graphics with this one being the final one, and the last line of the email said, “Experiences become memories…good or bad.” I consider that a fine example of a healthy mic drop. The graphic above illustrates that there are other considerations a person should think about when helping a customer to success. I write this today because I’m excited to share a huge honor – I was selected by Mindtouch to be one of the top 100 customer success influencers. The list of folks is incredible, and I’m honored to be on this list with the likes of Tom Tunguz, Bill Cushard, David Skok, Ari Hoffman, April Underwood, David Cancel, Sam Brennand, and Sarah E. Brown. Want to see all 100? You can download the list here.